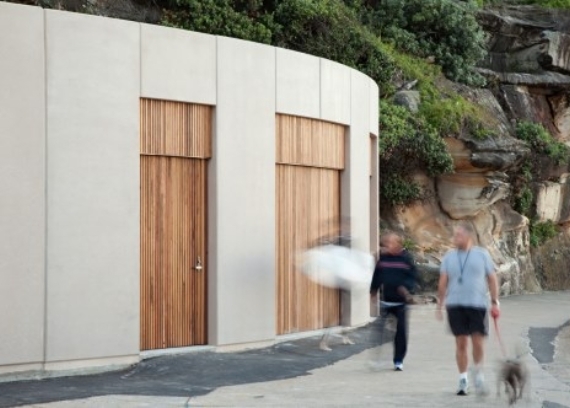 Nestled on the southern edge of Tamarama Park, hard up against the cliff face, the new kiosk, amenities block, and council services building was delivered by Kane under a Design and Construct contract. 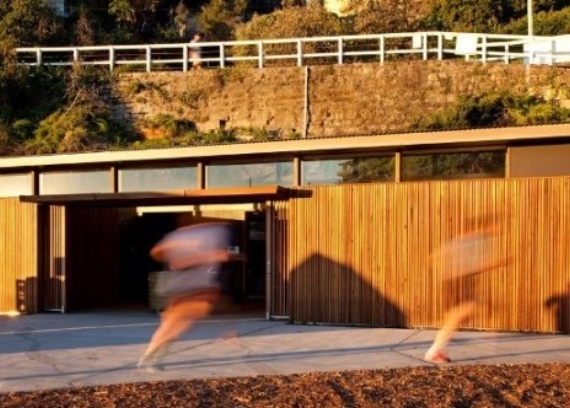 Additionally, on the northern edge of the park, the contract included the new storage building for the Tamarama SLSC. 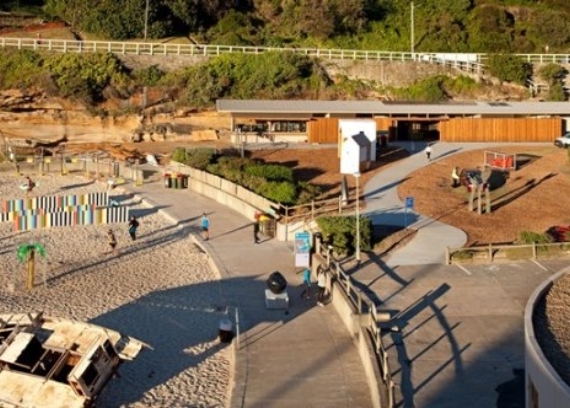 Whilst the challenging physical constraints of the site were obvious, minimising the impact of the construction works upon the local community and park users required detailed planning and open dialogue with the client, Waverley Council, and the client side project manager, Complete Urban, and Architects, LahzNimmo. 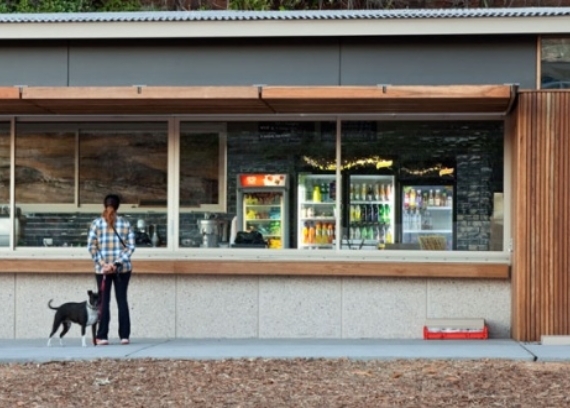 Kane installed solar panels to the roof of the kiosk building which heats the water for the internal showers in the Kiosk building. 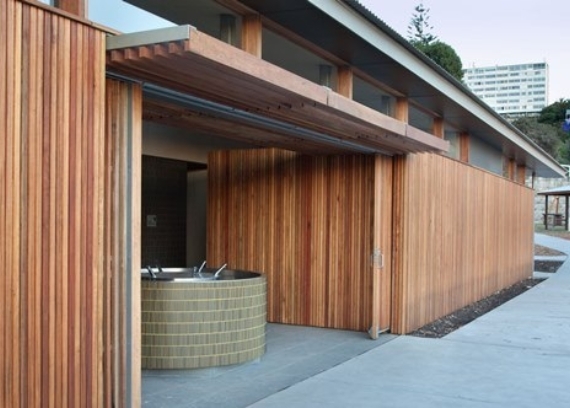 Whilst there were very few design changes by Kane, the client was seeking some value management options. 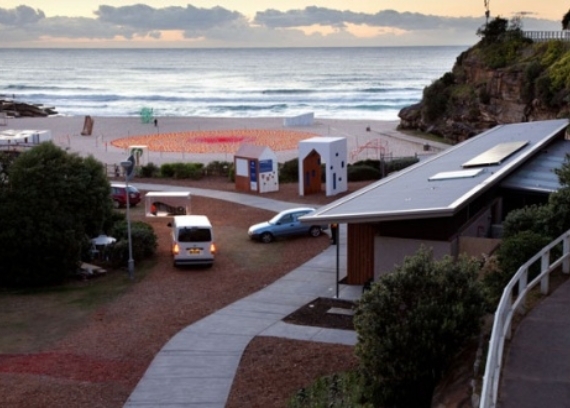 We identified potential savings where some critical elements of the original design could be downscaled whilst maintaining the design intent, such as the removal of proprietary wall cladding system and replacement with recycled timber products, use of coloured precast panels rather than panels painted and finished on site (requiring ongoing maintenance) and whole-of-life cost saving such as recycled water and solar heating systems. Working in this ‘live’ environment required considerable planning and open lines of communication between the entire project team. 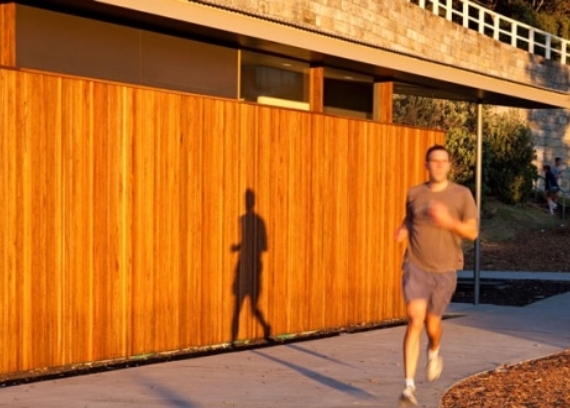 Kane provided a temporary toilet block for use by the public within the park and constant public access was provided in between the two sites for the duration of the works. On days where there were major construction activities such as concrete pours, steel or precast erection, exclusion zones were established, traffic and pedestrian control implemented so pedestrian access could be maintained.